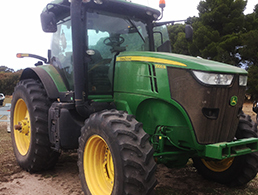 Pringles Crouch are one of South Australia’s most comprehensive John Deere dealerships with branches across Eyre Peninsula and the Mid-North of South Australia. 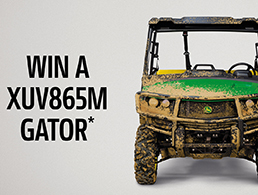 While agricultural producers face new challenges Pringles Crouch are committed to providing a comprehensive range of products from our major franchise, John Deere, along with products hand-picked for their suitability to our region from suppliers such as Coolamon Chaser Bins, Croplands, WEEDit, Bourgault and DJI Drones. 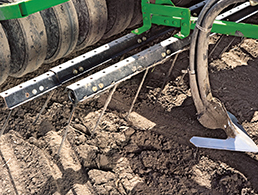 We are proud to be offering world-class products, and our goal is to continue to provide a range of precision and integrated farming solutions while building enduring customer relationships with the farmers and the farming communities across our region. 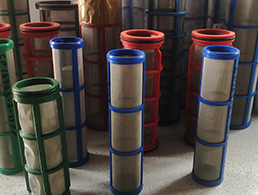 See what is coming up on our Events Page. 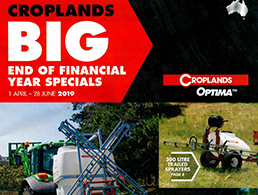 Get 20L of Hy-Gard FREE..
..when you buy 205L of Plus-50 Engine Oil. Looking for quality Used Machinery? 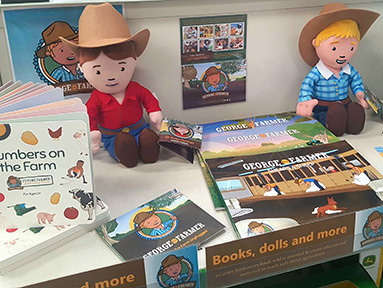 Now stocking the complete range of George the Farmer Merchandise, books, dolls & music.